Throughout the period of the 1970s, the Pittsburgh Steelers always seemed to be finding ways to win even against all odds. From the “Immaculate Reception” to Super Bowl XIV, Chuck Noll and his Steelers had faced impossible odds; only to find a way to win. Throughout much of that decade, a mentality and a philosophy was essential to maintain their dominance. While Chuck Noll was constantly constructing ways to beat the Cowboys and Raiders of the world to ensure a Super Bowl would reach the Steel City, his philosophy for those 70’s teams became the foundation for not just his teams of the 70s but onward into the current day. For players like Dwight White, Mike Wagner and others, doing whatever it takes to win meant just that; find a way to win the game for your team. Such a philosophy has been and continues to be imbeded into every Steelers player since the conclusion of Chuck Noll’s retirement. We shall call this “Emperor’s Will”, an omage to Chuck Noll’s nickname with his teachings. 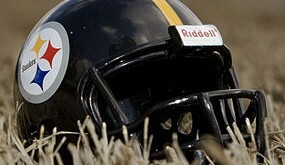 As many of us in SteelersNation found out yesterday, things did not go as well as the Steelers would have loved. However, specific individuals would find ways to pull through for the team allowed Pittsburgh to clinch its first win of the season. As such, today we shall honor those players who not only showcased expectional abilities but found ways to make key plays to secure the win. Before we begin though, a disclaimer. This articles thoughts and opinions are soley reflected upon the author and is not a representation of other members or staff of TheSteelersFans community. Now that we are done with introductions, it is time now to annoit those who have showcased the teachings of Chuck Noll. 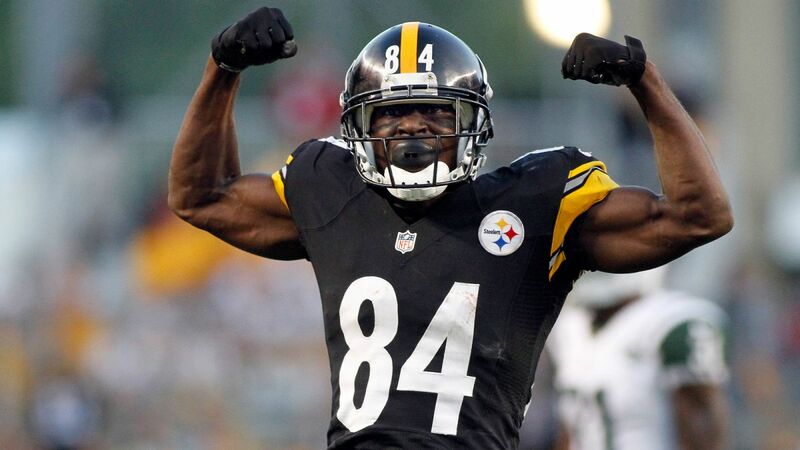 Widely reputed to be the best receiver in the league, Antonio Brown once again showcased this on a day in which he answered the “Bell”. Not only did he receive 11 passes thrown his way but also caught all 11 of them. Most impressive was that each pass yielded a major contribution towards the victory for Pittsburgh; the 11th one being the most critical. The stat line of 11 catches for 182 does seem quite nice but it was his ability to earn yards after the catch that became a critical turning point in the game. 94 total yards after the catch became a major reason as to why the Steelers were able to effectivley move the ball. Add the fact that Antonio Brown accounted for roughly 55% of the teams offensive yards and one could easily make an argument that Antonio Brown can possibly be considered an NFL MVP candidate. On a day in which the majority of the offense was messy, Antonio Brown led the way for the team. While he did not record a score, another player who was challenged just before the start of the season. If Tomlin’s criticism of the tight end group was not enough, trading to obtain Vance McDonald was definitely the wake up call Jesse needed. After a lackluster showing in the preseason, Jesse had to find a way in order to ensure he remains the number one tight end and Big Ben’s security blanket. He not only found the endzone once but twice. In addition, he was able to find open spaces within the holes in Cleveland’s defense. He also showcased some of the traits Heath showed by blocking selflessly for Antonio on a big play the latter received. The most important aspect of Jesse’s development is the fact that Jesse, like Antonio, did whatever it took for his team to win by accounting for 100% of the teams redzone scores as well as their offensive touchdowns. Much like Antonio Brown, Jesse also had to answer the “Bell” when the offense struggled to do so. Incorrect. That is a word this writer would describe what Anthony Chickillo’s career has been dating back to his days at “The U”. Not only was his latent abilities and potential nearly ruined single-handedly by the infamous coach in Al Golden, the position he played was inadequate as well. Coming out of High School as a Five Star Recruit being a monstrous pass rusher, Chickillo’s development was stymied. In fact, during the 2015 NFL Draft, some even considered Chickillo to be at worst undraftable as some thought of him to be a player without a position. However, this did not nullify Tomln’s plans to draft him; still seeing that potential of him. Three years later, two if accounting for the fact he had to learn his natural position all over again, much of Chickillo’s latent potential assisted Pittsburgh in getting the first points on the board. 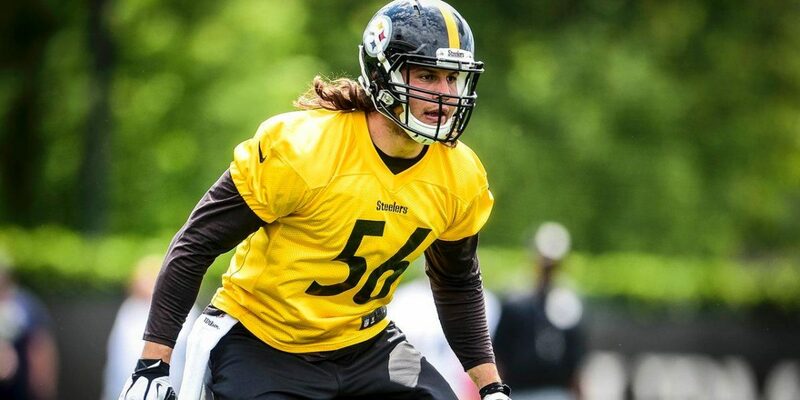 While many may have tossed aside Chickillo overall due to his lack of abilities, his two sack performance and consistent showcasing of his abilities assisted the Steelers into grinding down Clevelands rushing attack; spearheaded by the likes of Joe Thomas, Joe Bitonio and J.C. Tretter no less. Against Shon Coleman, Chickillo not only set the edge on rushing plays but also beat Shon consistenly in the passing game, so much so that Hue Jackson was forced to call upon the services of tight ends like David Njoku to assist him. While the dominance of a second year offensive tackle does not seem too much for a third year player like Chickillo, bear in mind that, given the fact that Bud Dupree has missed consecutive season openers, Chickillo found a way to not only ensure that Keith Butler’s pass rush was steady but also the run defense as well. Much like how I started with Anthony and will end it as well, the general consenus about Anthony’s inability to be a player without a position were just as the first word of his performance; incorrect. Last week saw the premiere series of TheSteelersFans “X Factor” making its return; T.J. being the lead off for the 2017 season. Given the fact that he had to go up against a lock for Canton in Joe Thomas, a player who has played nearly 10,000 consecutive snaps, the odds were surely stacked against him. Bear in mind that, during the preseason, he went up against a top five offensive tackle in Jake Matthews and received some “Welcome to the NFL” moments. There was no gurantee that T.J. would have much success. In fact, T.J.’s performance was called on by many to be a major factor. While these pundits from beat writers and analysts were correct in stating that T.J.’s performance was going to be a major factor, few would have guessed what the rookie would do to a hall of famer. Against Joe Thomas himself, Watt not only collected seven tackles but had two sacks against him. The most impressive aspect about T.J.’s performance was not just his ability to beat Joe but his ability to find ways to do so. Good pass rushers often use either their technique or athleticism to mask their deficiencies in counter moves. Great pass rushers have contingency plans should their initial attack plans fail. The former was T.J. during the preseason. The latter showed up on Sunday and delivered upon putting the heat on DeShone Kizer. 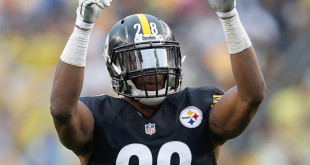 It was his interception against DeShone towards the end of the third quarter that assisted Pittsburgh in controlling the remainder of the game. Not only was this interception a hallmark of T.J.’s situational awareness and athleticism, it also showcased his ability to redeem himself after costing his team some yards a play earlier. To add a wonderful debut, T.J. became the first rookie ever to record two sacks and an interception in his first game. Even more impressive was that only two other players have done so since Charles Glaze and Tommy Haynes did it in 1987. Unlike Watt however, both Glaze and Haynes were replacement players, not rookies. 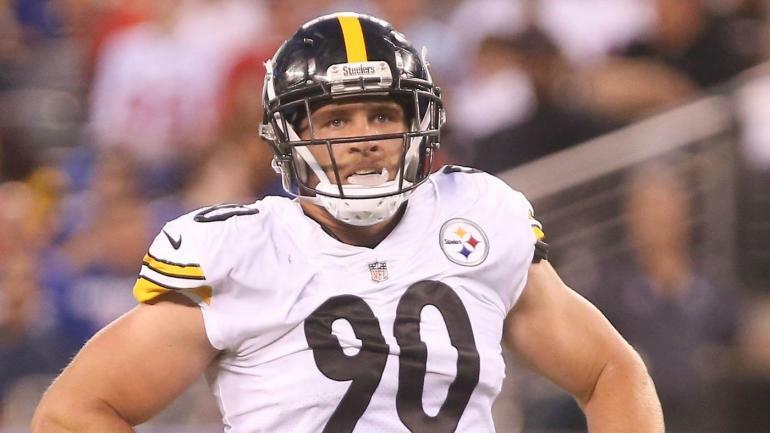 While T.J. Watt will have his fair share of poor showcasings, Sunday’s performance does give not only him but SteelersNation that such occurances can be few and far between.